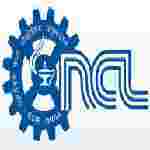 NCL recruitment 2017 notification has been released on official website www.ncl-india.org for the recruitment of total 02 (two) Project assistant vacancies. Job seekers should apply on or before 18th December 2017. Educational Qualification: M.Sc in Chemistry (any branch)/MTech in related fields. Interested and eligible aspirants can send their application on plain paper along with attested copies of relevant certificates/testimonials & two passport size photographs, Please specify on the envelope and in cover letter for “ The Post Applied for project Assistant (Cat-II)” by email to the Head. Catalysis Division, (Attn. Dr. Paresh L Dhepe) National Chemical Laboratory, Pune 411008, pl.dhepe@ncl.res.in on or before 18th December 2017 and attend for walk in interview in Catalysis division, Ground floor, room No. 152 of the Laboratory on 22nd December 2017.